COBRA Defense Team Building is unlike any other. 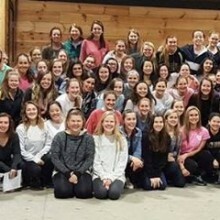 Rather than learning how to kayak or zip line, your team will learn real-life self-defense and safety skills that could save their lives and will certainly enhance their decision-making under pressure. It will be just like they have a gun to their head, because they will. Even though the gun is fake, the emotion is real. 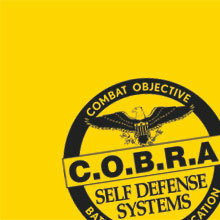 COBRA Defense Team Building is jaw dropping, eye opening, and loads of fun. Our interactive seminar requires no athletic skills or special experience and there is no physical contact. Best of all, the skills your team will learn could very well save their lives. 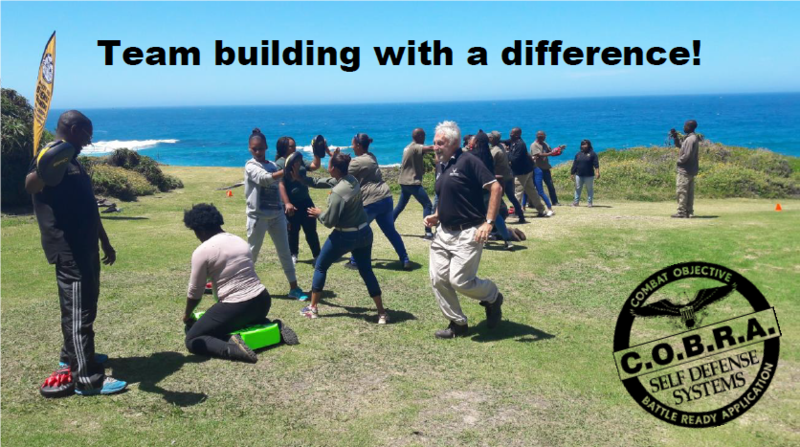 This exciting program is adapted from actual police academy self-defense training. Using realistic scenarios, team members experience a variety of encounters that model real life. It all adds up to a roller coaster ride of emotion as team members face a variety of challenging criminal situations that they usually only see on the news. Problem solving, excitement and working as a team all while learning the most valuable skill a person could have. Not only will the team share an amazing experience, but they will come away with a greatly enhanced understanding of how the criminal mind works. They will learn what bad guys look for, and the one advantage that bad guys always have over all of us.